* American Booksellers Association "ABBY Honor Book"
* Gwen and C. Dale White Award for "Introducing the Delany Sisters to a World Audience"
* The Broadway adaptation of Having Our Say was nominated for three Tony Awards, including Best Play (1995). * The film adaptation of Having Our Say, starring Ruby Dee, Diahann Carroll, and Amy Madigan, won numerous awards. The film premiere was held at the Kennedy Center in Washington, D.C. It was broadcast for the first time as a CBS Sunday Night Movie. Amy Hill Hearth (pronounced "HARTH") is an American nonfiction writer and novelist, a Peabody Award-winning journalist, and a New York Times Bestselling Author. She is also a Washington Post, Los Angeles Times, USA Today, and Publisher's Weekly Bestselling Author. Two of her books have been selected as American Library Association Notable Books. Ms. Hearth's most recent book, Streetcar to Justice: How Elizabeth Jennings Won the Right to Ride in New York, is the first biography of an all-but-forgotten civil rights icon. Elizabeth Jennings (Graham), a black schoolteacher, refused to leave a segregated streetcar in Manhattan in 1854, setting into motion a historic court case and the first major step in ending segregation in public transportation in New York. Streetcar to Justice, which earned starred reviews from Publisher's Weekly and Kirkus, was selected by the American Library Association as a Notable Book. Written for middle-grade to adult readers, the book was published by HarperCollins/Greenwillow on Jan. 2, 2018. Ms. Hearth's books have been published by HarperCollins, Simon & Schuster, Random House, Kodansha, and Doubleday, among others. She has been represented by William Morris Agency (now William Morris Endeavor Entertainment) since 1991. She is the author of two feminist novels set in the 1960s, Miss Dreamsville and the Collier County Women’s Literary Society and Miss Dreamsville and the Lost Heiress of Collier County, both published by Simon & Schuster's Atria Books imprint, as well as seven nonfiction books including Having Our Say: The Delany Sisters’ First 100 Years, a bestseller for two years which spawned a Broadway play and television film. She is the co-author of Know Your Power: A Message to America’s Daughters by the first female speaker of the U.S. House of Representatives, Rep. Nancy Pelosi. Miss Dreamsville and the Collier County Women's Literary Society was the November 2012 Simon & Schuster Book Club selection, May 2013 Reader's Digest "Select Edition" (previously, Book of the Month Club), and January 2013 selection of the 600-chapter Pulpwood Queens Book Club founded by Kathy L. Murphy. The book was also a Deep South Magazine pick and an Atria/Simon & Schuster in-house staff favorite. Ms. Hearth's sequel, Miss Dreamsville and the Lost Heiress of Collier County, was published by Atria Books/Simon & Schuster in September 2015. The sequel is a Simon & Schuster Book Club pick, a selection of the Pulpwood Queens international Book Club (now with 700-plus chapters), and a January 2016 Reader's Digest "Select Edition." The book was picked, also, for the Fall/Winter 2015 Reading List of Deep South Magazine. Reader's Digest Brazil published the Portuguese-language edition of both novels. In addition, the novels were translated and published in Hungary and Czechoslovakia. In 2018, the first "Dreamsville" novel was published in Finland. Having Our Say, called a "classic oral history" by Newsweek magazine, remains a favorite in American classrooms. The book is the story of two very wise and candid centenarian sisters, Sarah L. and A. Elizabeth Delany, whose father was born into slavery in the American South. The book was a New York Times Bestseller for 113 weeks and received numerous awards including an American Library Association Notable Book citation, a Christopher Award, and an American Booksellers Association Honor Book citation. Ms. Hearth was a consultant and advisor on the Broadway play adaptation of Having Our Say, which earned three Tony Award nominations including Best Play. The play enjoyed a very successful run, with 317 performances (source: Broadway World) at Broadway's famed Booth Theater beginning in April 1995. Ms. Hearth served again as consultant and advisor when the book was adapted for a CBS Sunday Night Movie in 1999. Directed by Academy Award winner Lynne Littman, the film starred Ruby Dee, Diahann Carroll, and Amy Madigan. Ms. 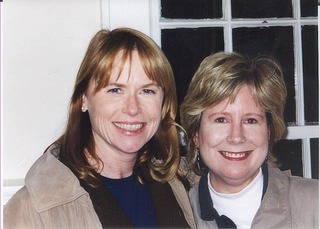 Hearth's role was portrayed by Ms. Madigan. For her work on the telefilm adaptation, Ms. Hearth received a Peabody Award. Ms. Hearth began her career as a journalist, primarily for daily newspapers. She has written about education, the environment, historical preservation, health, police, fire, poverty, railroads, and more. Her magazine work has included extensive investigative reporting into drug trafficking, organized crime, and a major bank failure. In addition to breaking news and "hard news" topics, Ms. Hearth has written many features which, in fact, is how Having Our Say, the book/play/film came into being. As a reporter who loved history and the stories of older people, she eagerly followed up on several leads about a then-unknown pair of centenarian sisters, the Delanys. After she finally met them, she wrote a feaure story for The New York Times which was published September 22, 1991. The interview almost didn't happen, she later told The New York Times in a story published April 2, 1995: "They didn't think they were important enough to be in The New York Times. I had to convince them and gave this little impromptu speech - that I thought it was very important that people from their generation be represented, especially black women who hadn't had much opportunity. I guess my enthusiasm rubbed off." Ms. Hearth is a thirteenth-generation American whose ancestors fought for independence in the Revolutionary War. She has some Native American (Lenni-Lenape) ancestry and was given the name "Smiling Songbird Woman" by the Nanticoke Lenni-Lenape Indians in a tribal ceremony in 2010, in honor of the oral history she wrote about their tribal matriarch, "Strong Medicine" Speaks: A Native American Elder Has Her Say. Born in Pittsfield, Massachusetts, Ms. Hearth moved with her family to Schenectady, N.Y. and then to Columbia, South Carolina. The nearly six years the family lived in South Carolina, from 1965 to1970, coincided with the peak years of the Civil Rights Movement and had a profound impact on Ms. Hearth, then an elementary school student. "I was born with a strong sense of justice and I was a keen observer of the world around me, even at age 6," she said in an interview. "I have never forgotten the prejudice against black persons that I witnessed as a child in South Carolina." The family returned to New York and back to Pittsfield, where she graduated high school. She attended the University of Massachusetts at Amherst, majoring in sociology, then transferred to the University of Tampa, Fla., where she earned a B.A. in writing and became editor of the college newspaper. Her first professional job was at The Berkshire Eagle in Pittsfield, Mass. where she was an assistant arts and entertainment editor. Later, she was a news reporter at the Daytona Beach, Fla. News-Journal where she had a column on health and social services. After relocating to the New York area, she was a reporter under contract at The New York Times for four years. Ms. Hearth and her husband, Blair, a native of Naples, Florida, live in the Greater New York Area. "The Delany Sisters: 'We Are North Carolinians,' " article included in edited volume North Carolina Women: Their Lives and Times, Volume II, (July 1, 2015) part of a series published by the University of Georgia Press called, "Southern Women: Their Lives and Times"